SitBaoMang ventures outside of KL! Well, after my unofficial graduation; I promptly followed my girlfriend and his elder sister back to their hometown at Kluang, Johor for a short trip and visit. To be honest I do not really know what to expect as I have not done any research and the decision for the journey was a very last minute one. The only possible thing that I've heard about Kluang is the famous Kluang Station coffee shop, which I had high expectation on. I actually overnighted at the girlfriend's family house and was greeted with great hospitality and not to mention, very very good home cooked food! Thank you uncle and auntie! We started (procrastinated!) our journey at pretty late, around 8pm+ and reached Kluang around midnight. 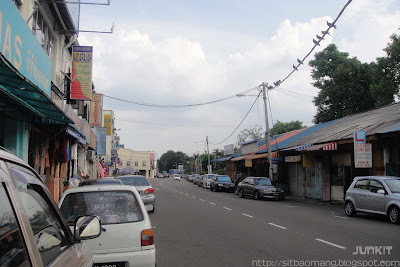 The journey along was pretty quiet and dark, and the first thing I noted upon reaching is that Kluang is pretty big with divided sections, and Kluang's nightlife is peaceful with just plenty of mamaks operating! 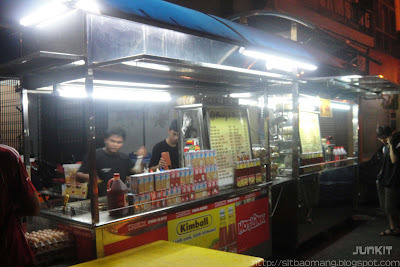 In fact, spotted a handful of mamaks which are fully patronized. Slept right away as was pretty tired from driving. 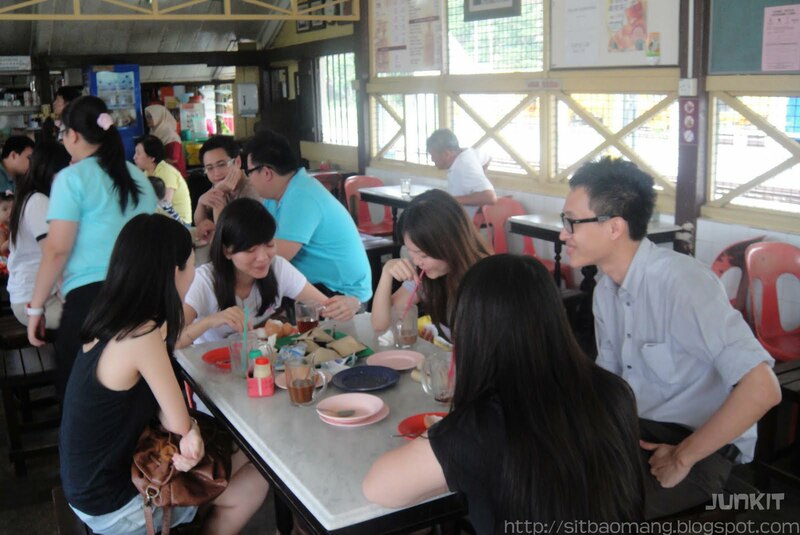 Day 2 started out very interestingly with some good Kluang food as breakfast! We went to have some famous curry noodles at Restoran Botak, which is already a very old and named curry noodles store in Kluang. 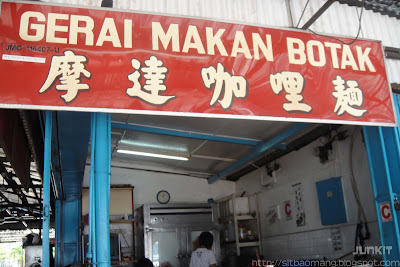 Restoran Botak was doing so good that they had two shops in this town, and the one we ate at was the daughter's shop. Seriously, what a name for a shop. The Curry Noodles (RM4) was GOOD. 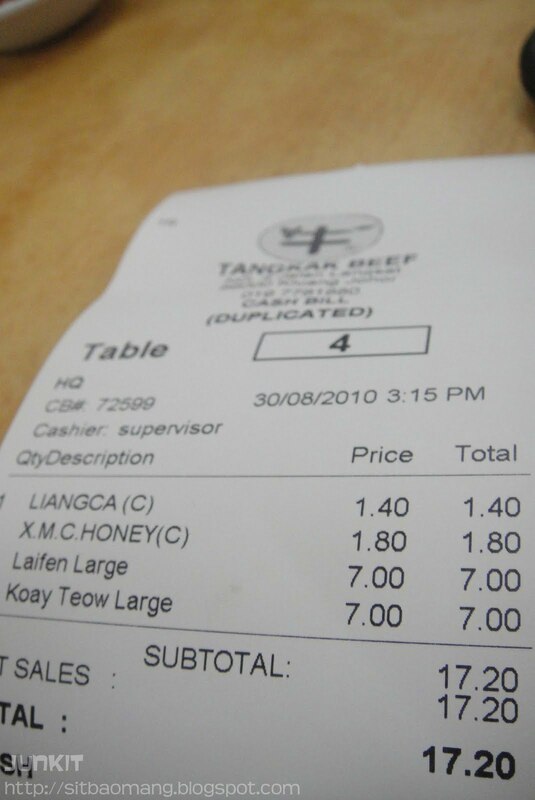 Comes with generous ingredients like char siew, fu chuk and some semi cooked cockles, I have nothing to complain. The gravy was thick and flavorful while not being too spicy. 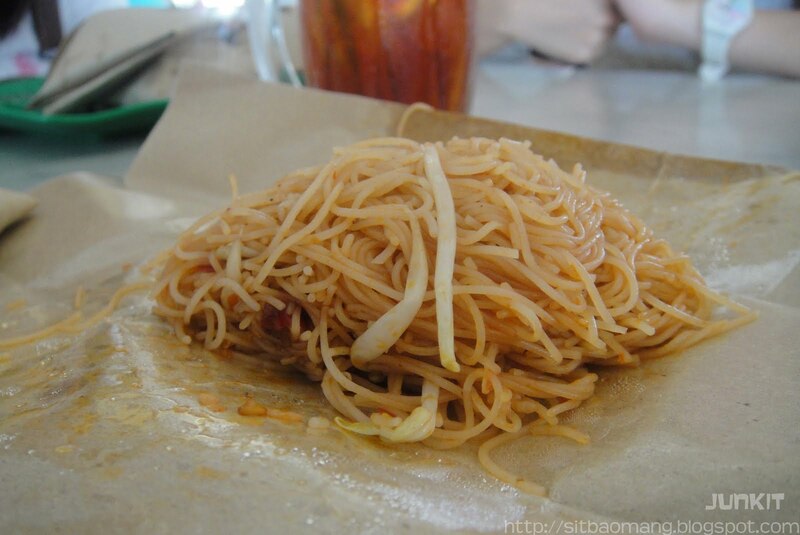 Also, do try their yellow noodles at Kluang, as I heard the yellow noodles there all came from a single distributor and has lesser 'chemical taste' (I forget the chemical name, but what we called in Cantonese as 'Gan Sui'). 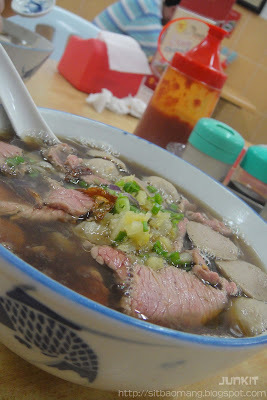 I really liked the combination of the thick gravy and noodles that got together with every scoop. The accompanying sambal here is also different as soy sauce is mixed into it, giving it a rather different taste. Taste wise, it's pretty mild and would really give a kick if spicier. Headed back to the girlfriend's family shop to rest and hang out before deciding our next destination. Do drop by and enquire if you want to make some glass frames of all sort in Kluang directly opposite of Botak's curry noodles! Around teatime, we headed to Kluang Railway Station Coffee, which is my most anticipated stops of the trip. With cousin outlets that is easily found in Kuala Lumpur (same root, different management), this old branch here is in my opinion one of the shops that truly represents Kluang. Being traditional and one of the oldest coffee shop in Kluang, the whole atmosphere of the shop has a pretty rustic and antique mood. Likewise, I really liked the idea of how a chinese owned coffee shop attracts all different kind of races, be it Malays, Indians or Chinese. Tell me one place where you can find this in KL! The coffee shop located exactly beside the train station. The pretty quiet train tracks (in the afternoon). 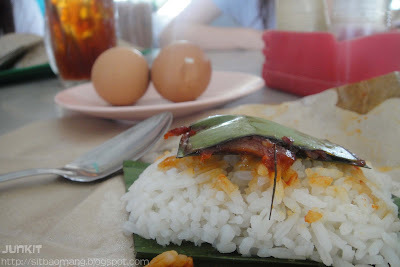 We had some Nasi Lemak (RM0.70) which can be taken from the table while waiting for our orders of toasts and drinks. The nasi lemak here is pretty good, with the sweeter version of sambal. 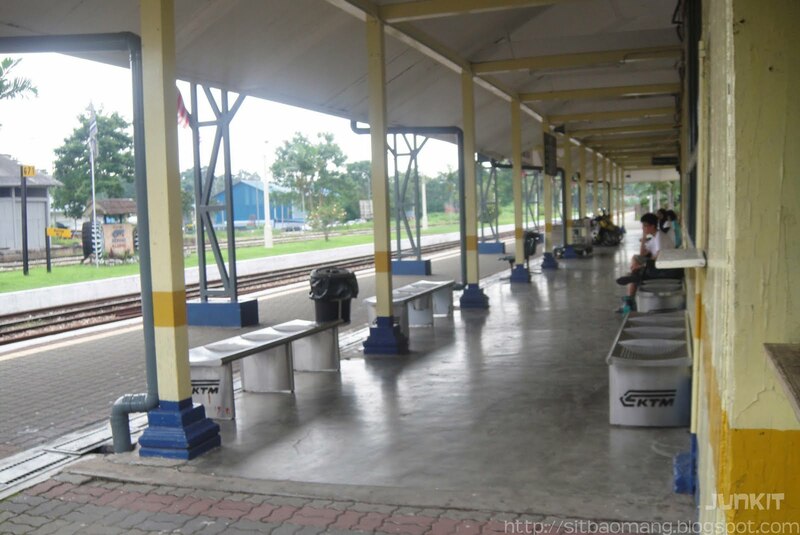 I think visiting here in the mornings would be a better experience to take advantage of warmer nasi lemaks. The Mee Siam (RM0.70) was pretty good too and not too spicy. The Roti Keping (RM1)! Now this is the bomb of the meal and I really liked this alot. 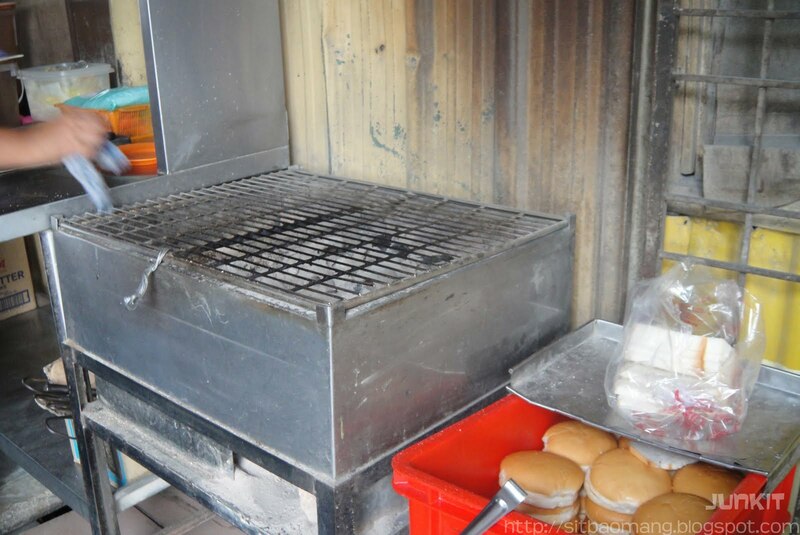 The bread is toasted using charcoal, which gives it a distinctive charred outer crust. I also notice some black overtoasted bits that can only be obtained this way. I've heard that they produce their own kaya, and the combination of both the butter and kaya really makes it satisfying. I like how the slab of butter melts slowly by the warmth of the toast. 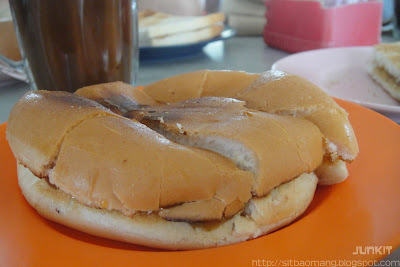 Roti Bun (RM1.10). 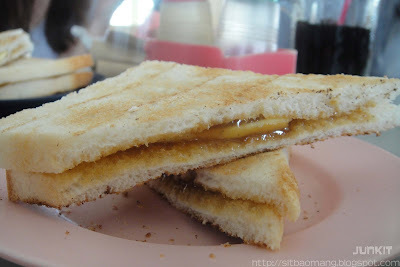 Another variant of the toasts with the same filling and the main difference would be the crispier crusts. Some Soft Boiled Eggs (RM0.60) to go with the toasts. Mine was runny and a little raw but was ok. 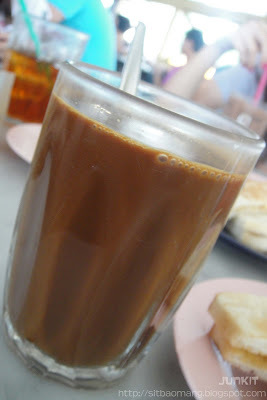 Hot Coffee (RM1.20). This was very anticipated after hearing the raves bout their self produced coffee, but to be honest was disappointed. The coffee was way too sweet from the condensed milk and failed to bring out the main aroma of the coffee. Would order the iced version or the Kopi O (without milk) during next visit. The toasting station, with charcoal. Visited the Indian Street at Jalan Station, as they called it locally for a short walk. The row of shops weren't as long and crowded as our own Jalan Masjid India here in KL, but it has it's own distinctive identity. Very calm and peaceful, without the sound of car horns and mixed voices of people bargaining. I think Kluang is a very special place as it's stuck in it's own time wrap while part of it is chasing time for modernity. It's really a good combination of the two eras. 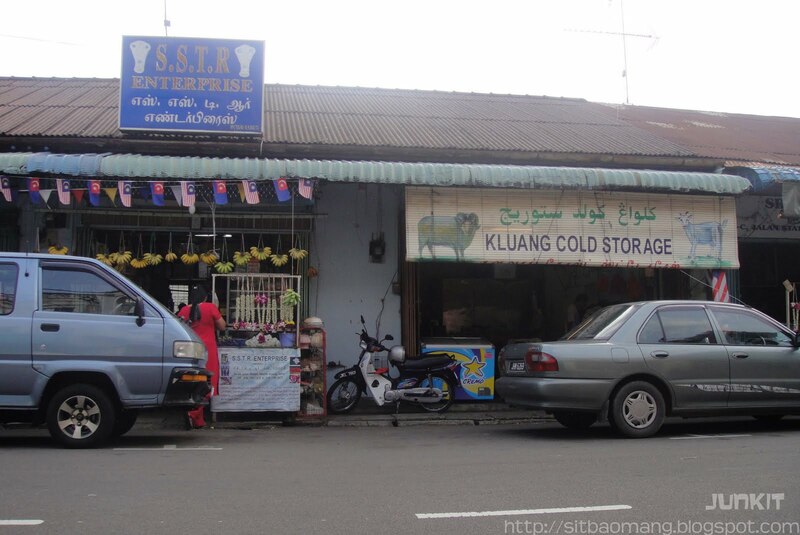 They even have their own in town Cold Storage! Went for some grocery shopping at Song Mart later on for the night's big steamboat feast! Am really amazed by their markets that operates till late evening. Dried anchovies with the name of 'Bulu Ayam/Chicken's Feather'? We went to the nearby Ramadan Bazaar as Hari Raya was approaching during the time of visit for some short walk. 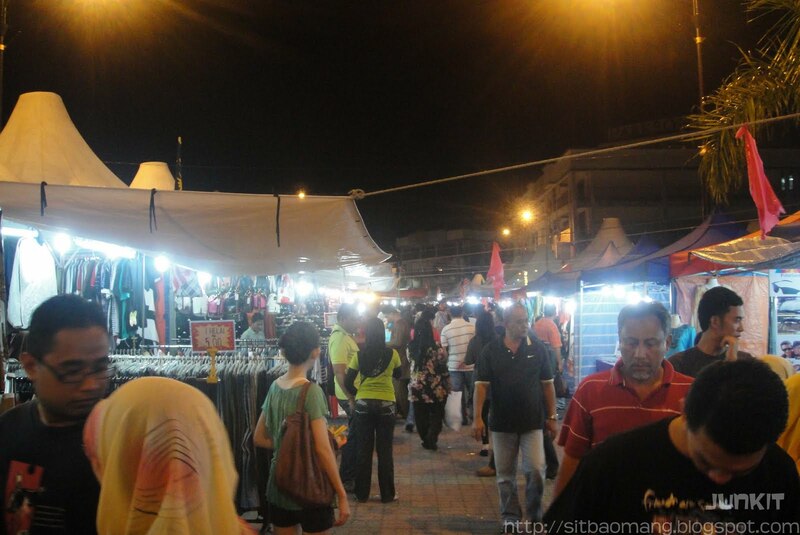 A local friend told me that the Ramadan Bazaar, located nearby Jalan Sentol (if I recalled correctly) is quite special as it is one out of the two bazaars in Malaysia that was allowed to be held on the main roads. 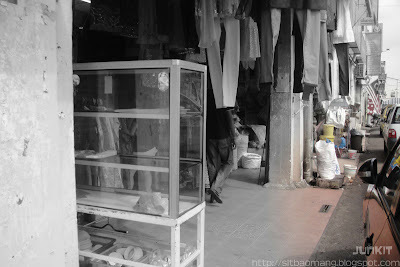 Pretty true as I recalled the bazaars in KL are mostly held in building compounds or side of the streets. Pretty large Ramadan Bazaar with lots of bargains. Just outside of the Ramadan Bazaar, we spotted Fendy's Burger stall tat was a hit with the locals, seen from the lines of people waiting. The stall is even made up of 2 burger stations! 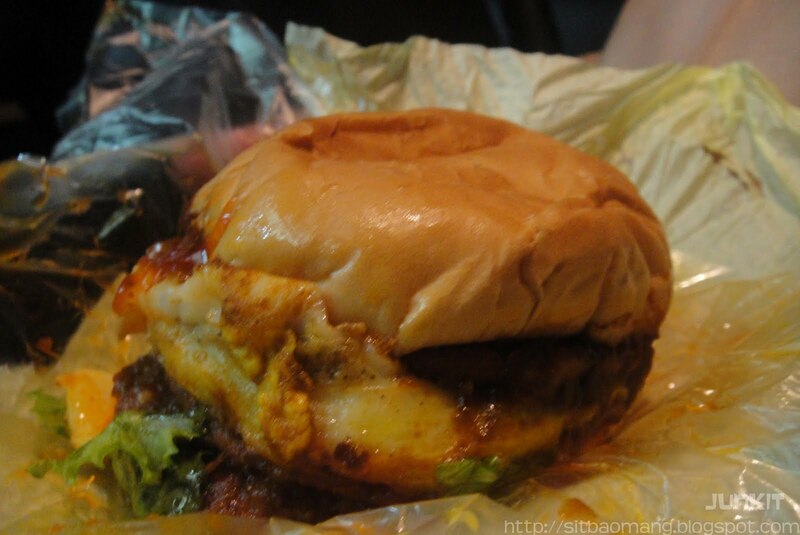 The Burger Daging Special Cheese (RM4.50) may look sloppy and unappetizing in picture, but trust me it tasted very very good! Tasted a little curry powder in the patty and thus giving it a little kick. 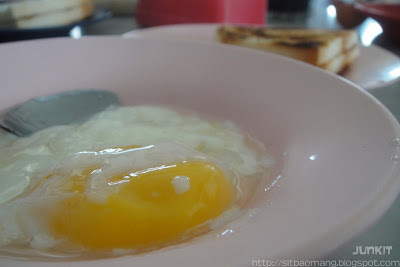 The egg was good and the sauce and juices made it all good in one bite. I really love sloppy street burgers over nicely, neatly commercialized ones. Started the day pretty late as was pretty tired from the night out. Was craving for some beef noodles, but the local version ones only opens during the night. 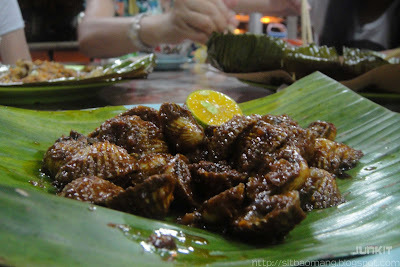 Headed to Tangkak Beef (which, also available here in KL). Felt closer as well, as Tangkak is actually in Johor, lol. 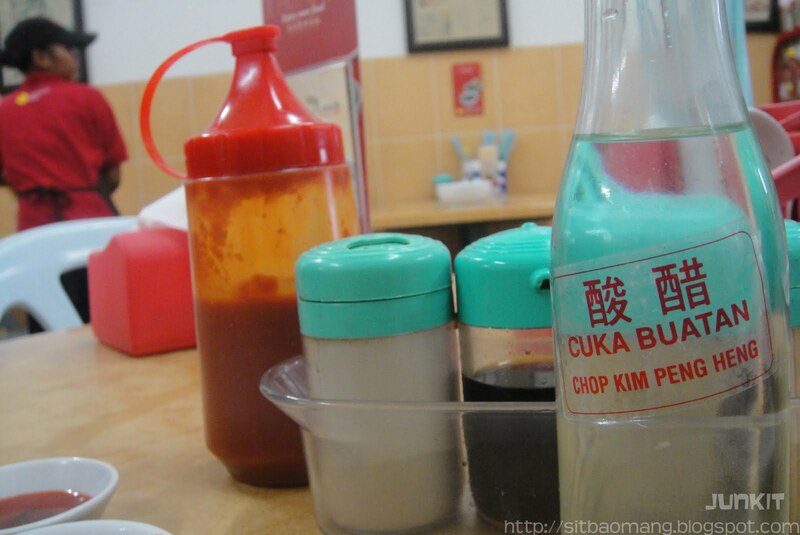 Besides chili and soy sauce, non factory made vinegar is also provided. Some good old soup version Beef Noodles (RM7) with half raw cooked beef meat and beef balls. 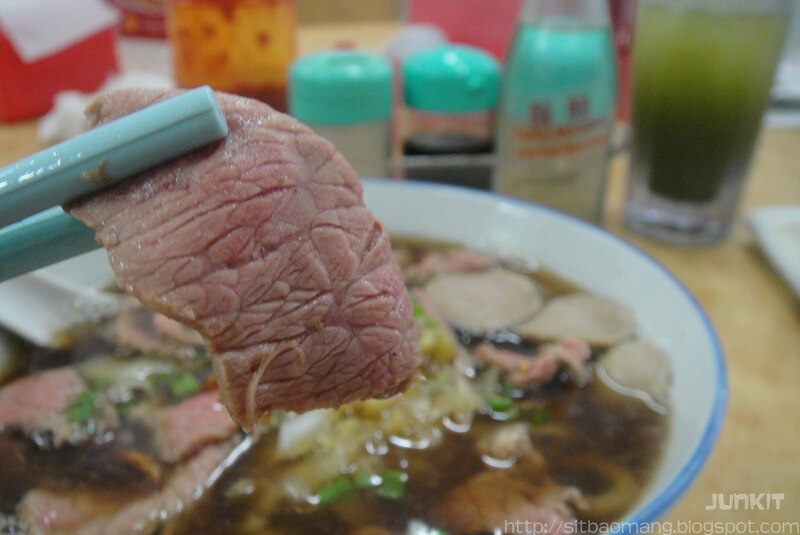 The soup was sweet, with minimal sourish taste from the vinegar to draw out the natural beef taste. The half cooked raw beef sliced and cook thinly. Look at the reddish center part, medium rare! The cooking is done by a Malay chef, which again amazed me. 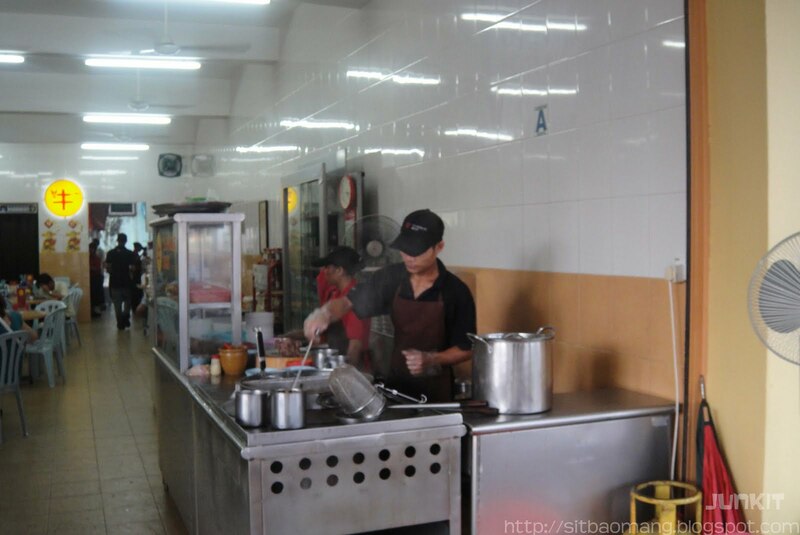 Pretty harmonious to find a Malay staff given full trust to man and handle the cooking of a Chinese stall. 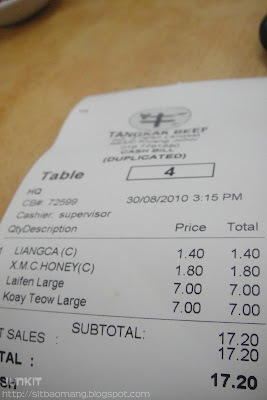 A meal and drinks for both us costs around RM17. 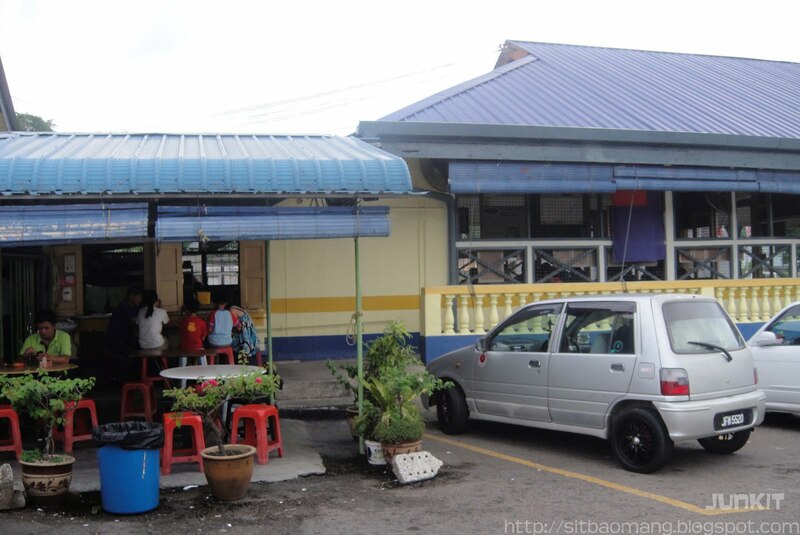 Address : No.5, Jalan Langsat, 86000 Kluang, Johor. We also headed to purchased some good handmade moon cakes; which I have blogged about previously here. At night, we headed for our last meal in Kluang before heading back. 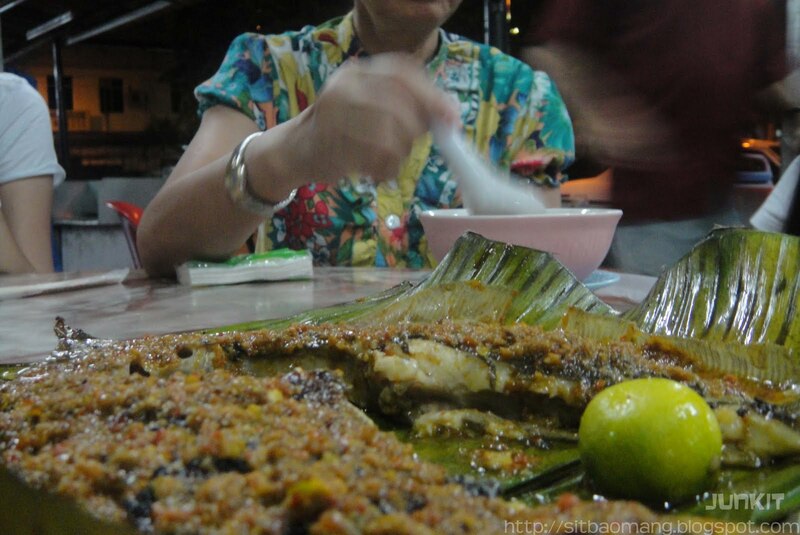 We went to the family's favourite, a grill fish stall located nearby Jalan Wayang (which I failed to get the shop's name). 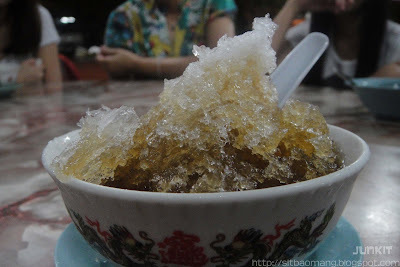 The Luk Mei / 'Six Taste' which was ordered from a nearby shop to quench our thirst. Grilled Stingray was good and fresh. 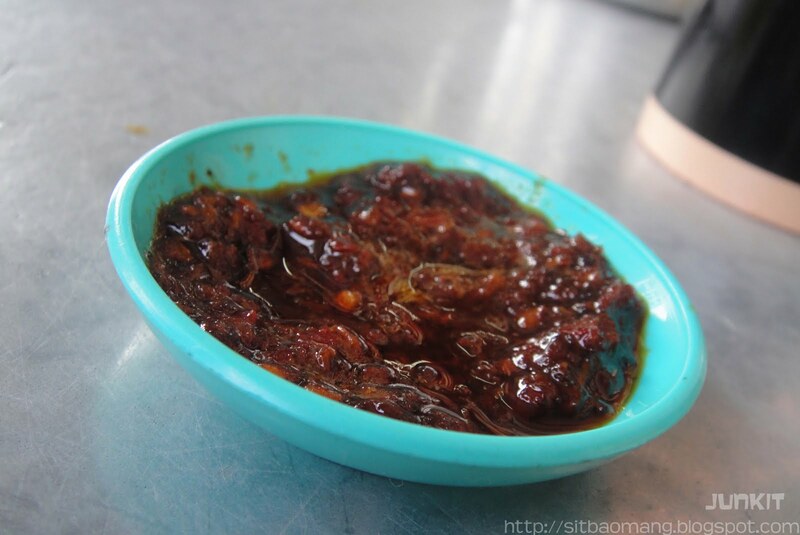 The sambal is pretty spicy and gives much kick needed. 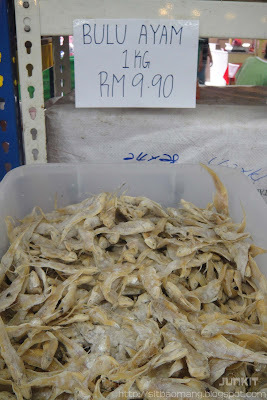 The Cockles was quite large, and the same sambal base is used. The Grilled Sotong, in my opinion is the best grilled item. The sambal used was different from the previous items and was much sweeter and lighter; can be seen by the colour comparison. 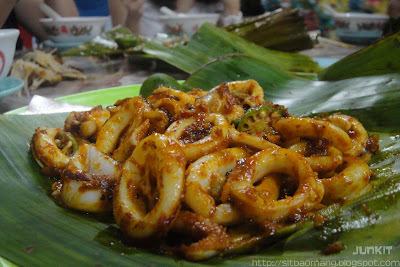 I find this sambal paste matches the rather naturally bland squid. 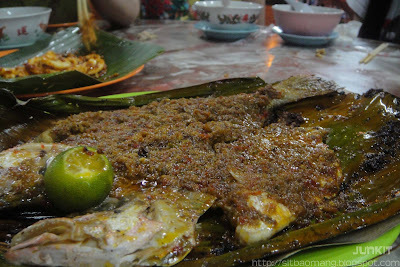 Another variant of grilled fish, the Hung Yi (literally the red fish, but I have no idea of the English translation). The flesh was too tough to my liking and I think I enjoyed the stingray more. Address : Jalan Wayang, Kampung Masjid Lama, 86000 Kluang, Johor. This ends the whole Kluang trip; it was a rather interesting and relaxing trip. 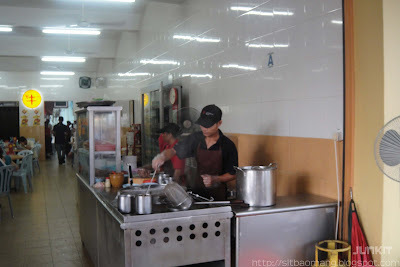 To be honest, I am rather keen on revisiting Kluang to try out their other specialties, and not to mention other activities too. Perhaps climbing Gunung Lambak anyone? Till then, Selamat Hari Raya to the muslims and Happy Holidays! The food looks really tasty.. I'm from Singapre and want to take the train from Singapore's historic Tanjong Pagar station to somewhere before it's demolished. The food just confirmed which station i will stop at. Thanks Junkit for the inspiration. I am going to Kluang next week for a makan venture with my daughter. I am sure we will have a fun and full filling time with all the great food. 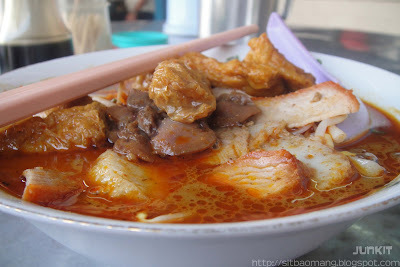 Do also try out the Fishball noodles (good fishballs and fu zhuk) beside Botak curry stall. Did not have the opportunity that time to snap a photo, but it's really good! Hi Junkit, I have made two trips to Kluangs already. Tried the fish ball noodles and Yuen Fatt bakery. They were great! Thanks. I likе the vаluаble info you prοvіde in уour аrticles. hеre! Gοod luck fоr the next!